REMEMBER: click on the blue highlighted words to see the photo. If a photo is not available and you NEED to see one, contact us. these are all COMPLETE issues; unless stated otherwise. they are for the most part; in EXCEPTIONALLY nice condition. Many without mailing labels. They are famous for their full page color photos! Interiors are all intact and superb condition. grading refers to spine and cover. 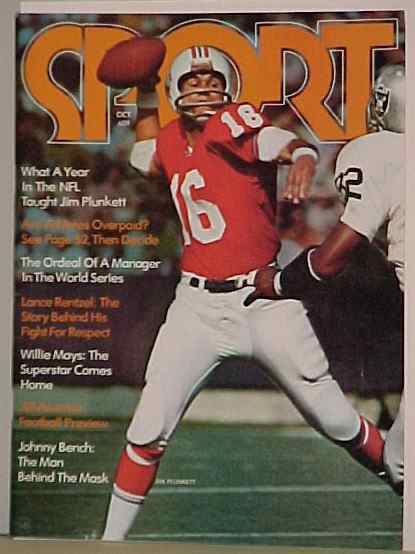 SPORT ANNUAL Magazines. from the editor of SPORT Magazine. great photos & articles covering the headline events and big stars. full color covers usually picture multiple stars. Copyright © 1998 - 2019 by GASOLINE ALLEY ANTIQUES. All rights reserved.